SUNDAY, Nov. 16, 2014 (HealthDay News) -- Deaths from heart disease are dropping, but deaths related to high blood pressure and irregular heartbeats are on the rise, a new government study finds. From 2000 to 2010, the overall death rate from heart disease dropped almost 4 percent each year, the U.S. Centers for Disease Control and Prevention, researchers found. At the same time, death rates linked to high blood pressure-related heart disease increased 1.3 percent a year, according to the study. The researchers also found that deaths tied to irregular heartbeats rose 1 percent a year. "While we are continuing to improve in the overall heart disease death rate, we still have considerable work to do," said lead researcher Matthew Ritchey, a CDC epidemiologist. "During this 11-year period, more than 7 million heart disease-related deaths still occurred, including 600,000 deaths in 2010, making heart disease the leading cause of death in the United States," he said. The study is published in the Nov. 19 issue of the Journal of the American Medical Association. Findings were released early to coincide with a planned presentation Sunday at the American Heart Association (AHA) annual meeting in Chicago. Heart disease is a broad term for a number of conditions affecting the heart. Coronary heart disease, which is caused by plaque build-up in the blood vessels, is one type of heart disease. Congestive heart failure is another type, and generally occurs when the heart muscle isn't strong enough to pump blood efficiently. Heart disease from the strain of high blood pressure is another type of heart disease, according to the study. "Despite declines, coronary heart disease remains the leading cause of heart-disease-related death," Ritchey said. "In 2010, it accounted for about 64 percent of all heart-disease-related deaths," he said. Heart disease also includes abnormal heartbeats (arrhythmias). The normal beating of the heart relies on electrical impulses progressing in a particular pattern. When these impulses do not occur in the correct order, heartbeats become irregular. Ritchey said the increase in deaths from arrhythmias might be due to the aging population and people living longer with heart failure, kidney disease and high blood pressure. Although this study didn't report death rates based on the type of arrhythmia, another study -- also presented Sunday at the AHA meeting -- found that the rates of ER visits for a common type of arrhythmia called atrial fibrillation increased by 24 percent from 2006 to 2011. The reasons for the increase in deaths linked to high blood pressure are unclear, but Ritchey thinks that uncontrolled blood pressure and obesity are the likely culprits. According to the report, deaths associated with high blood pressure increased among whites. For blacks, the rate remained the same, but overall was still higher than the rate in whites. 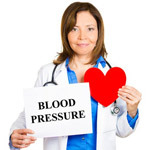 In 2010, high blood pressure was a leading cause of heart-related death (12 percent) among people 35 to 54 years old, as well as for those in the 55 to 74 age group (6.7 percent), according to the study. In people 75 and older, heart failure was the leading cause for heart-related death at 12 percent, the researchers found. For the study, Ritchey and his colleagues mined data from a CDC database on death certificate information from every state and the District of Columbia. "These findings highlight the progress that has been made in helping individuals live healthier lives free of heart disease," said Dr. Gregg Fonarow, a professor of cardiology at the David Geffen School of Medicine at the University of California, Los Angeles. "Nevertheless, there remain vital opportunities to implement new strategies to prevent and treat heart disease," he said. Dr. Harlan Krumholz, a professor of cardiology at the Yale School of Medicine, added, "It's great news to see heart disease deaths are declining." However, he doesn't think these data are reliable, especially when it comes to looking at deaths from subtypes of heart disease. "I am much more impressed by the overall progress and don't think this data source is particularly useful for honing down on particular subgroups," Krumholz said. The overall death rates are consistent with what is seen in hospitals for heart attacks and heart failure, he said. "While we should not get complacent about the gains, we should be very pleased that our current strategies to promote heart health are working," Krumholz said.